I’m now back at home and trying to adapt to being a world away from the place I called home for the past three months. It’s been strange but wonderful to come home. Of course I miss certain things (and people), but I’m enjoying seeing all of the people I have missed since January. For the first few days here, it seemed more like I was just home for a weekend and would be headed back to France soon. Now, as I sit in class, it’s starting to set in that I’m here to stay. 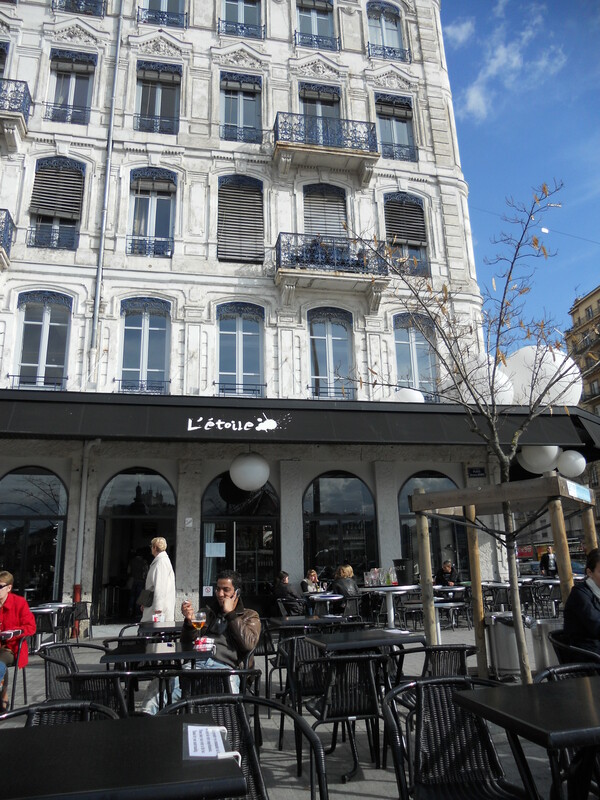 For this post, I’ll recap my last day in France and the (long and painful) journey home. 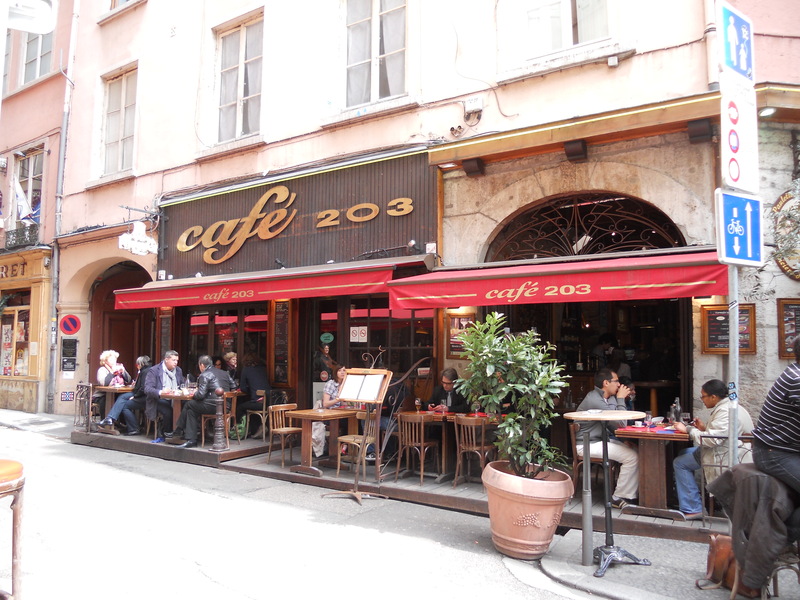 On my last day in Lyon, I spent the morning in class listening to the caricature of an Italian guy who was my professor (seriously, it was more like sitting through an SNL skit than a class). For lunch, Cynthia and I headed back to a restaurant we had visited a couple of weeks ago so that I could enjoy another taste of the best burger I have ever had. In addition to having my final burger in France (and I may never eat a burger again – I ate way too many of them while in France! ), I also had my final coca light. My final coca light. Why, yes, I did take a picture to commemorate this experience. 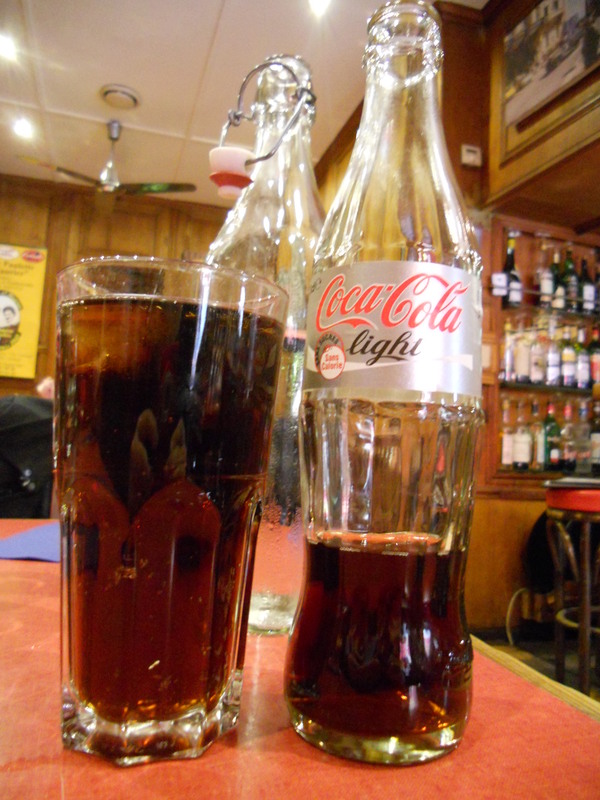 Oh coca light. How I already miss you. After lunch, we rushed back to class for the afternoon (with me only occasionally stopping to take pictures of the streets). 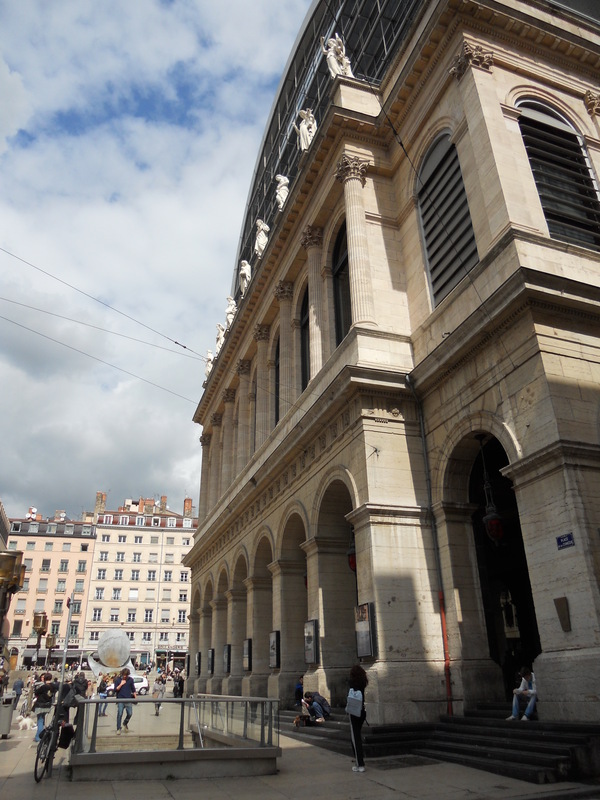 Pretty streets and buildings in Lyon. 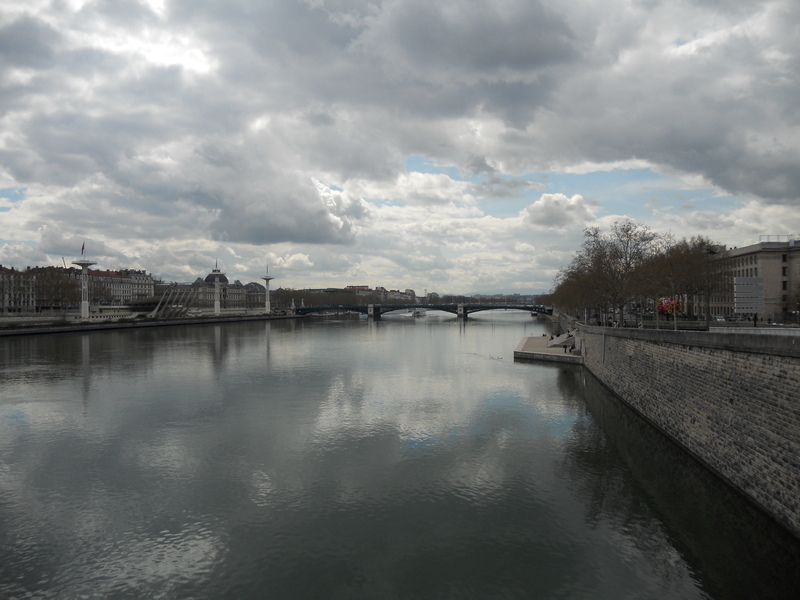 I crossed over a bridge in Lyon for my final time (notice my countdown theme? I’m so original). View from the Pont de Guillotiere. After sitting through class for another couple of hours (my final class in France! 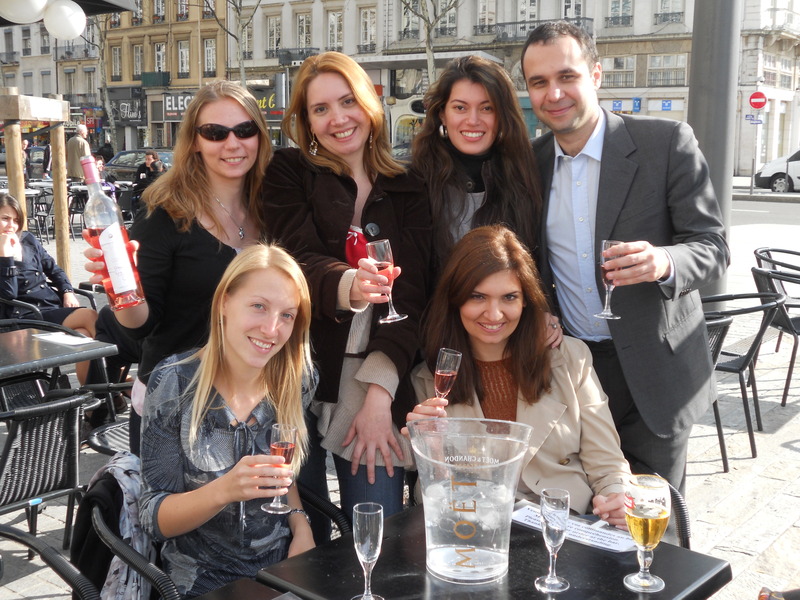 ), I walked to a nearby cafe with some of my classmates for a toast to my leaving. Even the Italian professor decided to join us for drinks! After hanging out for a bit, I hurried home to get some packing in before meeting up with Colton for dinner. I know this will come as a complete surprise, but we decided to go to L’Entrecote for dinner to have one last serving of Steak frites. 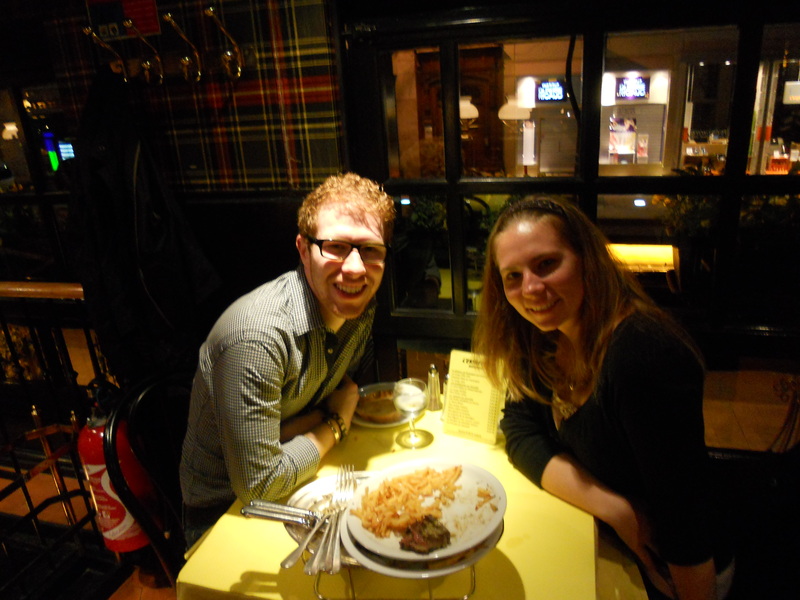 Our final steak frites experience! I had a wonderful time hanging out with Colton for the final time in France! After a nice dinner (and a wonderful Vacherin dessert), I headed home to finish up my packing. Then I headed up to my loft to sleep for the final time (a healthy 2 hours of sleep, of course). In the morning, I caught a taxi at 5:30am to the train station. I then struggled to get my luggage to the train platform and onto the train (but thankfully some nice guy helped me a little bit). Finally, I was on the train and heading to Paris. After a two-hour train ride, I arrived at the airport, where I was told that my luggage was too heavy – while there is a 25 kilo weight limit, my red bag was 38 kilos and my purple bag was 28 kilos. Whoops! After a 10 minute discussion with the guy at the ticket counter (which involved a lot of “yes, I get that it’s too heavy… what do you want me to do?” “It’s too heavy.” “Yes, so…?” and then three calls to supervisors and finally approval by the third supervisor), I was directed to another counter to pay for the hefty (ha!) baggage fees. Finally, an hour after I arrived at the airport, I was able to head to the customs agent to start getting to the terminal. 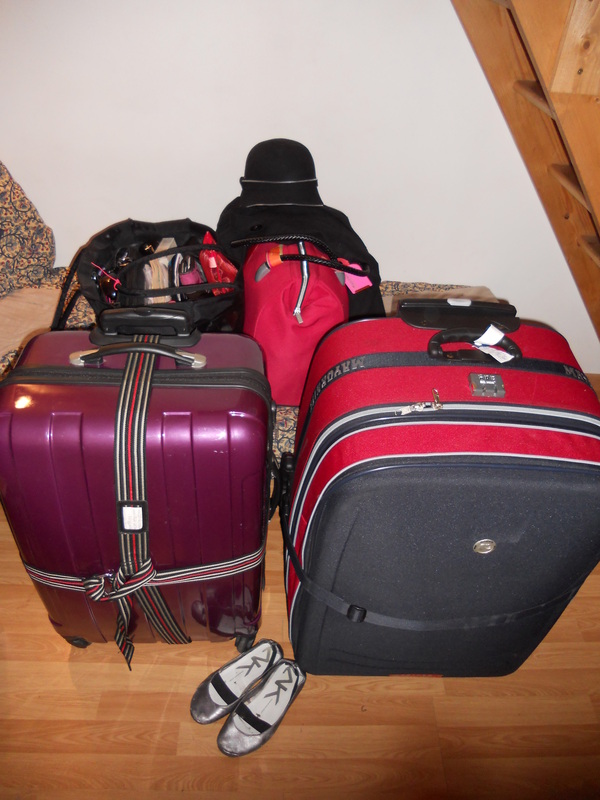 Boy was I in pain at this point – not only were my suitcases over weight, but my two carryons were at least 60 pounds each! Not really the easiest luggage to maneuver at the best of times, but with a broken toe and a sprained ankle… phew… Let’s just say I was extremely happy to get on that plane and relax for 9 hours. I finally arrived in Seattle about 27 hours after I left Lyon. Boy was I happy to see mom and hop into that car, knowing no more travel was needed for a long time! I had a wonderful weekend (despite having to do my final final for the French program), but I’ll discuss that in a subsequent post. For now, I’m just happy to be home!